On 24 October 2012 the Supreme Court handed down its eagerly awaited judgment concerning the ability of claimants to bring equal pay claims in the ordinary courts after the expiration of the six month time limit for bringing such claims in the Employment Tribunal. You can read the case preview here. This case concerns claims for equal pay brought by 174 claimants against their former local authority employer. By the time the claimants sought to bring their claims, the strict six month Employment Tribunal time limit had expired, meaning their claims would inevitably be struck out in that forum (in this case there was no suggestion of concealment or any other specified grounds for which time could be extended). As equal pay claims are claims in respect of a breach of an implied term (an equality clause) in a contract of employment, the ordinary courts have jurisdiction to hear them, subject to a longer six year limitation period. Being out of time in the Employment Tribunal, the Claimants presented their claims in the High Court. However, the defendant sought to have the claims struck out, relying on section 2(3) of the Equal Pay Act 1970 (“EPA”) which gives the courts discretion to strike out claims where they “could more conveniently be disposed of separately by an employment tribunal”. The Claimants were successful both at first instance, and in the Court of Appeal. However, a similar claim (Ashby v Birmingham County Council) was struck out at first instance in the county court, before being reinstated following a successful appeal (see further our preview). By the time the claims reached the Supreme Court the issues focussed on the meaning of convenience under section 2(3) of the EPA and whether it was necessary to take into account the reasons why the claims were not brought in time in the Employment Tribunal when exercising the discretion to strike the claims out or not. Lord Wilson (with whom Lady Hale and Lord Reed agreed) gave the majority judgment of the Court. In coming to his decision, Lord Wilson considered two main issues: what the intention of Parliament was in imposing a strict time limit for bringing equal pay claims to the Employment Tribunal; and the forum non conveniens arguments made by the defendants that as there was a more appropriate forum in which to hear the claims, they should be struck out. In the first place, Lord Wilson considered the drafting of the EPA, noting at the outset that it was clear that claims in the ordinary courts were not precluded. He also found it strongly arguable that Parliament had imposed the strict time limit for bringing equal pay claims in the Employment Tribunal as it recognised that claimants would also have the option of bringing their claims in the ordinary courts. Lord Wilson also considered the wording of section 2(4) (which remained in force until 2003) which provided that no claim should be referred by the court to an Employment Tribunal “otherwise than by virtue of subsection (3) above” i.e. save where it could be more conveniently disposed by an Employment Tribunal. He tentatively concluded that the use of this phrase suggested Parliament’s intention was to make it clear that a claim should not be struck out by the court where it would automatically suffer the same fate in the Employment Tribunal on the basis that it was time barred. Secondly, Lord Wilson turned to the issue of forum non conveniens and in particular the case of Spiliada Maritime Corporation v Cansulex Ltd which the defendant relied upon to support its case. In Spiliada the House of Lords held that there was a strong argument that where a claim had been brought in one jurisdiction (England), but there was clearly a more appropriate jurisdiction in which the claim would have been time barred, a stay of proceedings should be granted. This was moderated by the requirement for the court to look at whether the plaintiff had acted reasonably in commencing proceedings in that jurisdiction, rather than in the more appropriate forum. If this was the case the claim should proceed in theUK (or where appropriate, the defendant should be ordered to waive any time bar defence in that jurisdiction). In the Ashby case, the High Court found Spiliada helpful when considering the construction of section 2(3). In that case, Slade J allowed the appeal against the order striking out the claimants’ claims at first instance in the county court, but allowed that the defendant could reapply for a strike out if it considered that the claimants had acted unreasonably in failing to present their claims to the Employment Tribunal in time. However, Lord Wilson did not find Spiliada to be of any assistance as the issue was the distribution of judicial business between domestic courts, which had concurrent jurisdiction to hear the claims. Further, the reasons why the claimants had not brought a claim in the Employment Tribunal were not relevant to the determination of which forum was more convenient. To allow the defendant’s argument on this point would be in effect to rewrite section 2(3) and would at least in some cases, shorten the limitation period provided by Parliament. Noting the preference of the dissenting Lords Sumption and Carnwarth for a wider investigation into the circumstances of the claim in order to determine whether it should be struck out, Lord Wilson referred to Restick v Crickmore. In Restick the Court of Appeal found that High Court judges had a power to transfer cases to the county court, rather than strike them out, in circumstances where the claim had been filed incorrectly in the High Court and the claimant was out of time to file their claim in the county court. That particular construction of the relevant statute may have been controversial, but the Court noted the general principle that where proceedings are started in time and are not an abuse of process, they should not be struck out on account of some mistake in procedure by the claimant or their advisers. Lord Wilson commented that the claimants in the present case were in a stronger position than the claimants in Restick as they were not required under the EPA to present their claim to the Employment Tribunal. In conclusion, Lord Wilson held that it would never be more convenient to strike out an equal pay claim brought in time in the ordinary courts when it would be time barred in the Employment Tribunal and the appeal failed. The judgment also helpfully provided that this decision applied both to claims under the EPA as well as the successor provisions under the Equality Act 2010. Lord Wilson did however comment that the reason why a claimant failed to bring their claim in the Employment Tribunal may be relevant to the issue of costs. Lord Sumption (with whom Lord Carnwath agreed) gave the dissenting judgment in which he argued that the reasons why a claim was not brought in time in the Employment Tribunal were relevant to the exercise of the discretion to strike out a claim in the ordinary courts. The dissenting judgment also considered Parliament’s intentions and expressed concerns that to simply allow all claims to proceed in the ordinary courts would frustrate the rules behind the time limits in the Employment Tribunal; the purpose of which was to afford a degree of protection to employers against stale claims, while allowing certain other claims to proceed (for example, where the claimant has an incapacity, or where there has been concealment of the factors giving rise to the claim). Against this background, Lord Sumption argued that it would not be rational for Parliament to have intended to allow claimants an unfettered option to bring their claims in a non specialised forum that is less well equipped to deal with them. Acknowledging the concurrent jurisdiction of both the ordinary court and Employment Tribunal, the judgment went on to consider the issue of convenience. Lord Sumption did not agree that “convenience” was limited to the distribution of judicial business, but that it was analogous to the principle of “forum non conveniens” and whether the disposal of the claim in an Employment Tribunal (whether by strike out or otherwise) is appropriate, taking into account the wider interests of justice. This, Lord Sumption concluded, would require the court to take into account a range of factors including why the claim was not brought in time in the Employment Tribunal, whether the claim could still be determined justly with regard to the lapse of time and whether the employer would be exposed to significantly more costs than would otherwise be the case (for example, if the claimants were funded by a conditional fee agreement). Although differing on areas of statutory interpretation, all five justices agreed on the application of the EU principle of equivalence. This principle provides that the “procedural rules for proceedings designed to ensure the protection of the rights which individuals acquire through the direct effect of Community law [should be] not less favourable than those governing similar domestic actions”. 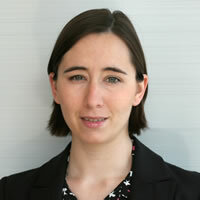 It was argued by the claimants in the High Court that to place a fetter on their right to pursue a breach of contract claim (in respect of the implied equality clause) would breach this principle as there was no equivalent fetter on other types of claim for breach of contract brought by employees against their employers in the ordinary courts. However, the Supreme Court held that had the defendant’s appeal succeeded, and the claims been remitted for a further review of circumstances relevant to the exercise of the discretion to strike them out, this would not have breached the principle of equivalence. Equal pay case law has largely developed within the vacuum of the Employment Tribunal, with little or no reference to the ordinary courts. While this case confirms that claimants may bring their equal pay claims in the ordinary courts, when the claim is time barred in the Employment Tribunal, the legislative provisions dealing with this are poorly drafted and ripe for amendment. In his judgment, Lord Wilson suggests that Parliament may wish to consider relaxing the time limit for bringing equal pay claims to the Employment Tribunal. Whether Parliament decides to do this remains to be seen, however. Any extension of the limitation period would likely reduce the need for claimants to present claims to the ordinary courts, but if they do, as a result of this judgment, and absent any abuse of process, they will likely be allowed to proceed. This potentially increases the scope for claims against employers, particularly in cases where an employer has been defeated in an equal pay claim in the Employment Tribunal and a number of employees who are in the same position as the claimant seek to bring similar claims (as was the case in this particular claim). However, the longer claimants wait before bringing their claims, the lower their potential damages will be as ordinarily the legislation provides that it is only possible to claim arrears of pay for up to six years before the date the claim was filed. Leave a reply on "Case Comment: Birmingham City Council v Abdulla & Ors  UKSC 47"